When I think of everything the sport of lacrosse has taught me, it always makes me pause and reflect. I picked up a lacrosse stick for the first time when I was about ten years old because it looked like a fun sport and the older guys in the neighborhood seemed so cool when they wore their jerseys around the neighborhood. I had no idea that picking up that stick would play such an important role in my life. Lacrosse taught me so much. I realized quickly that I had an opportunity to be very successful in the sport, but that it wouldn’t be easy. I knew I had to work… hard! As I got older I figured out that, if I was going to be truly successful, I had to take care of my body. I learned how to stay in shape and, with hard work and discipline, I got stronger and faster. Finally, I learned that no matter how hard I pushed myself physically, no matter how fast or strong I got, all I was doing was developing the tool. While lacrosse is a game of speed, strength and agility, it’s also a game of skill and strategy. I had to become a serious student of the game and learn how to use that tool I was working so hard to make stronger and faster. As my playing career comes to a close and I start to explore new opportunities, I have no doubt that the values instilled in me over the last 25 years will continue to serve me well and lead to success in a variety of new ventures. And I truly wish every kid who’s just starting out in the world could learn what I’ve learned and not only reach their potential, but enjoy the journey while it’s happening. Every sport has its “greatest player of all time.” Basketball has Michael Jordan. Hockey has Wayne Gretzky. Golf has Jack Nicklaus. 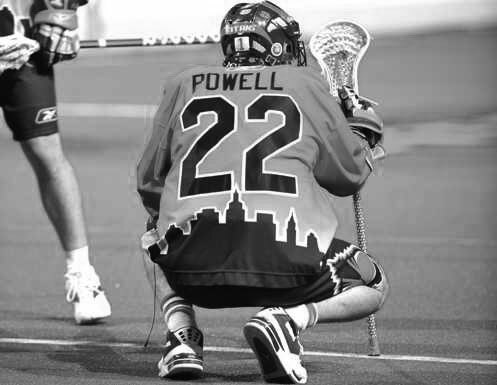 In American Lacrosse, that player is Casey Powell. Currently with the Florida Launch of Major League Lacrosse, Casey will retire as an active player at the end of the 2016 season, ending a spectacular playing career. Going into his final season, Casey is the most prolific scorer in MLL history with 504 points in 12 seasons. His 257 goals rank fourth all-time and his 243 assists rank second. In 2003, he scored 70 points in a single season, breaking his own record from the previous season by two points. Today, they are still the third and fourth best season totals in MLL history. His pro career follows a stellar college career at Syracuse University, during which he was named a 1st Team All American from 1996 to 1998. His last two seasons at Syracuse, Casey received the Lt. Raymond Enners Award as the Division I Most Outstanding Player. Casey has also dedicated himself to promoting the sport of lacrosse throughout the United States and the world. In 2014, he started Casey Powell’s World Lacrosse Foundation. Its mission is to unify and support lacrosse enthusiasts, players, coaches, organizers and parents. In 2016, Casey and the CPWLF, in partnership with Big Ant Studios, released Casey Powell Lacrosse 16, a video game that puts all of the excitement, passion and athleticism of this beautiful sport in your hands. The game is available for PlayStation 4, Xbox One and Steam! 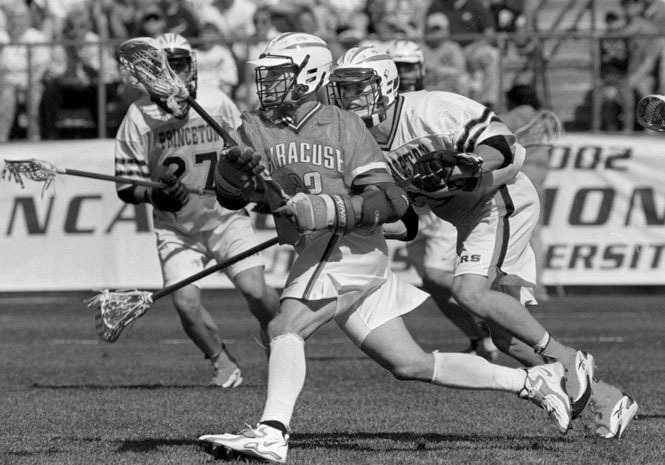 Casey Powell enrolled at Syracuse University in the fall of 1994 and started blazing one of the most decorated NCAA lacrosse careers in the history of the sport. By the time he graduated in 1998 his credentials were a direct manifestation of Casey’s dedication to his team accomplishments before his personal accomplishments and a fitting embodiment of his is lifelong dedication to the game. Casey earned four NCAA All American honors (3X First Team) and four All NCAA Tournament honors which has been accomplished by no other player. That combination is a testament to Casey’s skill and his ability to perform at the highest level in the post season when it counts most. Casey has a pair of Lt. Raymond Enners Awards for the Most Outstanding Player in Division I lacrosse (1997 and 1998.) He is the only player in history to have won both the McLaughlin Award for Division I Midfielder of the Year (1996) and the Jack Turnbull Award for the Division I Attackman of the Year (1998.) He is also the only player in Division I history to be a 1st Team All American at 2 different positions. There is undoubtedly an additional level of greatness built into Casey’s post season performance and incredible versatility as a player. Casey accumulated a career total of 287 points which puts him 12th on the NCAA all-time scoring list, fittingly tied with his brother and former team mate Ryan Powell (Syracuse ’00.) Casey and Ryan are tied for second on the Syracuse University all-time scoring list behind their brother Mike Powell (Syracuse ’04) with 307 points. The story comes full circle when you ask Casey Powell what his most treasured accolade is. His answer without hesitation is the National Championship won by Syracuse University in 1995 and being elected Captain of the Orange. To assess Casey Powell’s professional Major League Lacrosse Career is to start at the top. He has been in the Major Lacrosse League since its inception in 2001. As of the start of the 2016 season, he is the league’s Career Scoring leader with a total of 504 points. Casey is 4th on the All Time Goal Scoring list with 257 behind John Grant Jr., Kevin Leveille and Tim Goettelmann. He is 2nd on the All Time Assist list with 243, behind only Ryan Boyle with 272. He is the all-time leader in MLL Playoff Points with 40. The unofficial “King of the Hill” scoring title of professional outdoor lacrosse is Casey Powell’s to lose. Casey has played for the Long Island Lizards, Rochester Rattlers, Hamilton Nationals, Chesapeake Bayhawks and Florida Launch. As a league pioneer he led the Lizards to the first-ever MLL Championship in 2001 and then a second in 2003 earning league All Star accolades the whole way. Four years later Casey finished the 2007 season with the Rochester Rattlers tied with Mark Millon for career points at 305 and he was named MLL’s Offensive Player of the Year for the first time. In 2009 Major League Lacrosse announced a 10th Anniversary Team that assembled the most formidable lacrosse squad the sport has ever seen. Anchoring the defense was All World goalie Brian Dougherty. The long pole defenders were Brodie Merrill, Nicky Polanco and Lee Zink. The attack consisted of Jesse Hubbard, Kevin Leveille and John Grant Jr. The midfield had one Princeton Tiger and two 22’s from Syracuse. Josh Sims, Gary Gait, and Casey Powell. everyone thought – was as lethal a trio as had ever taken the field. Casey’s tenure with the Florida Launch has been extremely fruitful, even as the league super star approaches 40. He led the Launch in their teams inaugural season – 2014 with 30 goals and 33 assists for a total of 66 points en route to being named 2014 MLL MVP. The icing on the cake was his 2nd Offensive Player of the Year Award in 2014 that he is using to motivate the Launch toward a championship in the 2016 season. With plans to make it his last, Casey Powell is hoping to lead the Launch to a league championship in 2016.